It’s time to dive in and explore some interesting new investment options. I have some personal cash set aside, and the newly-minted Money Mustache Foundation has $10,000 of seed capital that we’d also like to put to work. On top of this, I have replaced the old $75,000 line of credit on my primary house with a new $200,000 one*, and the current balance is a comfortable Zero Dollars. So there is a sizeable keg of “dry powder” ready to put to work as opportunities come up. Now, normally a conservative person saving for financial independence would simply be investing all surplus funds in a pre-arranged series of places every month. Assuming you have no emergency credit card or car loans, you might allocate the first chunk to 401(k) deductions, some to extra principal payoff on your mortgage or student loans, and the rest to index funds like Vanguard’s VTSAX. Update from 2017: please enjoy this article, but I don’t recommend actually investing with Lending Club until you review the latest results here. My experiment ended up going well for a few years, but returns have soured more recently so I would not recommend following in my path unless something changes. Buying the junky-but-spacious rental house next door to me from the current owner, renovating it, and re-renting at a much higher rate. Or re-selling it for a quick profit. Trying an investment in Lending Club, where you indirectly lend money to other US borrowers at expected returns between 5.8 and 13% annually. I’ve been intrigued by Lending Club ever since I read this post about it on my friend Brave New Life’s fine early retirement blog. However, at the time the strategy seemed complicated, I didn’t understand the risks, and I did not have much liquid cash looking for investments. But over the past year, the investment picture has changed. Cash has accumulated, the US stock market has roared up to record levels (making lump-sum investing just a bit less appealing due to pricier valuation), and great deals on rental properties in my own area have been hard to come by after a sizzling summer of quick sales. The final piece of the puzzle clicked in at a recent conference I attended in Denver. I got the chance to talk to some Lending Club employees in person about the company and its operations in detail. 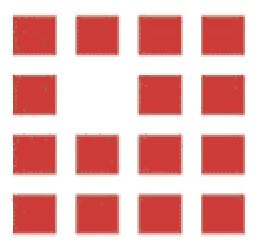 In summary, Lending Club is a San Francisco-based company founded in 2007 to function as a new, streamlined connection point for borrowers and lenders, replacing a portion of what banks and credit card companies do. It’s high-tech, it is regulated by the Securities and Exchange commission, and it seems fairly honest and straightforward to me in the way it conducts its marketing. After a year of sniffing around its foundations, I decided it was time to try it out. So I got an account, scheduled a transfer of $10,000, and then did some reading during the five days I waited for those funds to clear. Brave New Life’s strategy was a good starting point: he used a website called “lendstats.com” to mine 5 years of Lending Club loan data, in order to design a filter which would find him the best range of loans in which to invest. Copying his ideas, I found that the highest historical return was obtained by selecting the riskier investments (credit grades D and below), and further optimization was possible by doing things like excluding renters, insisting on employment history of at least four years, skipping loans from borrowers in California and Nevada, etc. Hey! That was an unexpected result. 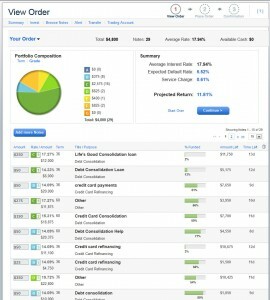 I could see that Lending club was automatically calculating the average interest rate of all of my proposed loans, subtracting the expected default rate based on their 5-year history of thousands of other loans with these characteristics, and presenting me with an estimated final rate of return (13.07% annually in this case). In other words, the site was doing its OWN data mining for me, making that third-party lendstats page I mentioned earlier redundant as far as I can tell. It looks clean and simple, and when you click any of those nicely-colored “Option 1/2/3” buttons, you’ll get a summary of net investment returns after fees and projected defaults. At 13.03%, Option 3 corresponds very closely with the 13.07% net return projected in my manual portfolio screenshot above, because as you can see it does most of its investing in the lower-grade, higher-yielding loans. The key difference is that when I requested that my full $10,000 portfolio be invested in Option 3, it ended up allocating the whole ‘stash across only 60 notes. That’s $166 per note, more than six times the minimum $25-per-note investment. With all other things being equal, I would prefer to spread the capital across the greatest number of qualifying loans, because it will reduce the “unique risk” in my portfolio without decreasing returns. As noted in Lending Club’s own marketing materials, the larger your number of notes, the more your performance will trend towards the projected returns, with fewer surprises. In fact, among investors with 800 notes or more, every single investor has made a positive return from Lending Club, with 93% of them in the 6-18% range depending on their loan grade choices. The first $5200 went to in my manual portfolio of 208 loans of grade D and lower, filtered for borrowers with no delinquencies in the past two years (because that was the only filter I could find that improved the projected results noticeably). 208 was the maximum number of matching loans available at the moment.. projected return after defaults: 13.07% annually. The remaining $4800 went to the default Lending Club high-yield “Option 3 portfolio” of 29 loans of slightly higher average grade, projected yield 11.81%. I’m guessing that my manual portfolio will be both higher-yielding and less variable from the projection, if I understand the statistics correctly. But we will all get to see over time – I’ll provide regular updates as these loans pay us back principal and interest, AND we use the gains to learn about some charitable giving options. Update, 16 Months Later: I assigned each of these purchases to a different portfolio and have been keeping an eye on them. It looks like my custom portfolio with 208 notes is so far performing slightly worse than the Lending Club automatic selection! 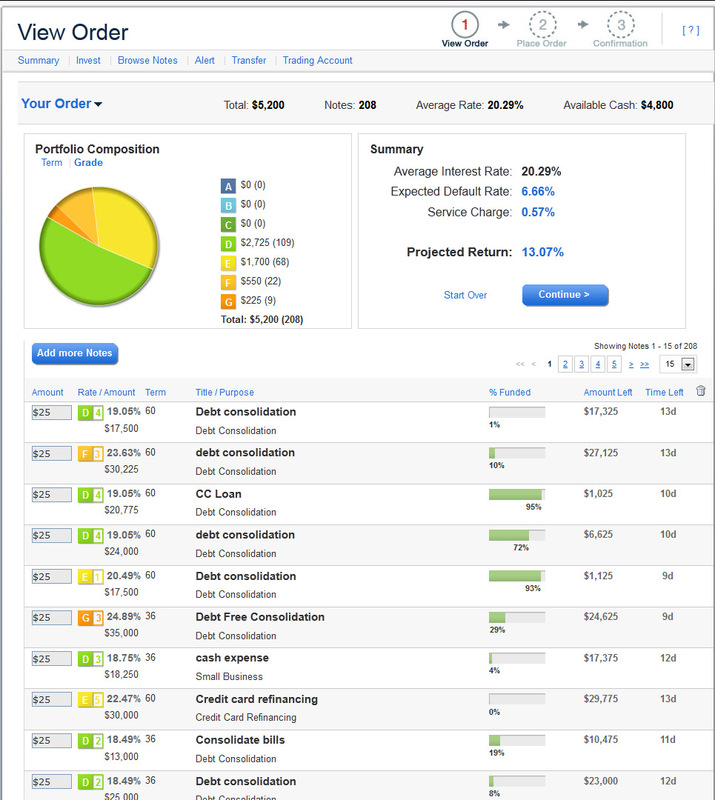 My portfolio has seen more defaults, which more than eats away my interest rate advantage. However, the LC selection has many more late notes at this point, meaning they might fall behind in the next few months. Stay tuned. I am finding this Lending Club research to be a fascinating experiment in the field of applied statistics. When you look around the web to see what other financial bloggers have said about the service, you run into a raft of interesting opinions and techniques, bordering on witchcraft and sorcery. People will say things like “I am excluding borrowers who are consolidating credit card debt, or buying a new vehicle, because those are just recipes for disaster”. Or, “I’m avoiding the D through F grades, investing only in A-grade notes, because those are the safest”. Points like those are intuitively satisfying, but when it comes to statistics, you have to ignore your intuition and look at the numbers. Lending Club has already run the numbers for you, and they factor the historical default rate as part of the projected return. Unless you are able to predict a drastic change in the pattern that has developed over the past five years (and over $813 million of loans and repayments even through the 2008 financial crisis), the math suggests you’re better off learning from the trend rather than trying to apply intuition. And the trend is that the higher-interest-rate loans tend to provide a higher return, even after accounting for defaults. That is exactly why credit card companies make ridiculous profits, and if this experiment succeeds, it is also why Mustachians may be able to earn 13% annual returns by replacing the credit card companies in the role of Risky Lender**. So it is exciting to me, because the reward is potentially much higher than the stock market, and the risk may be higher too (especially if I’ve done my research wrong!). I’ll be watching every dollar that rolls in on these loans, and adding more to the investment over time as blog income permits. Either way, do your research and be aware of risk. If you already have a friend who uses Lending Club, you could ask them for a referral link too – some existing members have the ability to generate $100 referral bonuses for a limited number of friends. * I signed up for the new home equity line of credit in June, after interviewing and comparing rates and fees of all the major banks. The winner ended up being a local credit union that was originally founded to help Colorado University faculty, and it has been a pleasure dealing with them. ** I’m sure there will be questions about the ethics of lending money at high interest rates. After all, I feel that credit card companies are often predatory in their own lending practices. The quick answer might be to look at the net economic effect of investing in Lending Club. By increasing the pool of investors, you’ll tend to drive down interest rates for borrowers, and lower the share of loans that go to credit card companies. This might increase the desirability of borrowing to some people (which I’d say is a bad thing), but on the other hand, it decreases the prevalence of extremely high interest rates, flattening the spread to a level that might become more economically efficient (good). Plus, the proceeds go to you. What will YOU use the income for? Will it provide a net societal benefit greater than that which a bank or credit card company could produce with those profits? It’s an interesting question to ponder. Fascinating. I looked at prosper.com a year ago and I decided there was no way I would lend unsecured money to deadbeats. There was no way to know if you would be paid back or not. 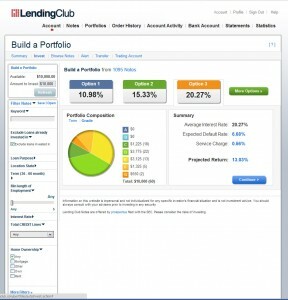 Lending Club has much better stats, so it looks like it’s worth a gamble. If it works … IF … you could retire much earlier on 13%. You have to be willing to accept defaults if you invest in peer to peer lending. If you can’t deal with dead beats not paying you back, then it’s better to invest elsewhere. “Unsecured money to deadbeat” is the most common objection to peer to peer lending. Think about how credit card companies make money through CC which is unsecured loan. They distribute the risk across millions of CC holders. Any one holder default is not going to have much impact on overall portfolio return. You need to consider portfolio return versus focus on individual deadbeats. I don’t care one bit about individual deadbeats.. just as I don’t poke around the corporate headquarters of all the companies I own stock in, and punch people in the face if they waste company profits by printing out unnecessary documents on the laser printer. Of course, diversification still doesn’t protect you from hidden systemic risk: back in 2007, everyone was bundling up low-grade high-return mortgages and selling them off as A-grade bonds. They were considered safe because “houses never depreciate”. In the case of Lending Club, the default rate might go way up if the economy went into a depression, or a cultural shift took over where everyone felt defaulting on loans was cool. I’m aware of that risk, which is one reason I’m not putting ALL of my assets into LC notes, even though I might double my retirement income if I did! I consider my LC investment to be part of the “cash” portion of a Permanent Portfolio. It essentially functions like short-term bonds. Mine are spread out over years, so they are effectivly laddered. Another interesting facet is that the cash flow is large. Only about 20% of the payments you receive are interest — the rest is returned principal. Which is then available for repurchases or expenses or other investments. I agree that you would not want to put all your eggs in this basket. But it is extremely uncorrelated from other investments you can make, which is one of its best features. Note — my higher grade loans did not suffer much during the financial crisis. People with decent credit who kept their jobs kept up their payments. I agree with Dragline that LC notes are uncorrelated with other investments. Even during the 2008 financial crisis, defaults were not that excessive. The increase in defaults were no where close to causing 50% drop in LC portfolio returns that stock market experienced. I analyzed Lending Club historical loan database. Even the loans issued in 2007, the default rate was only 18% (highest). I have detailed breakdown of loan status by years of note issue in my blog post at http://andirog.blogspot.com/2012/05/lending-club-loan-issued-date-and.html. I just signed up to take a look at it. According to their info page, they only accept around 10% of the borrowers who apply. Obviously the fact that lower credit rating borrowers are still in the system mean that this does not remove all of the risk, but they seem to have a fairly good culling process in place considering their history. Very interesting.. as a lender myself (working for a bank), I see the spreads on loans everyday and thought it would be interesting to get into. For example, if you fund a refi for a CC with a term of 15 years, are you locked in for 15 years? or are you able to get out, sell the note etc… And for example, if they are late a few payments, I’m assuming that would lower the value of the note? Good question on the lock-in. These notes are mostly 3-year repayments, with a few at 5 years (you can select only 3s if you choose to do so with the filter). I don’t think Lending Club has any longer term ones than 5. I think there is also a secondary market where you can sell off your delinquent notes (I’ve read about that somewhere, but don’t know much about it yet). However, in general I think accepting defaults as part of the game, as long as the overall return is sufficient, is key. Regarding the returns on this type of investment, you mentioned principle plus interest. How often do the dividends pay out? I assume it is quarterly but I am very new to the world of finance. All these lending club notes generate streams of monthly payments. So I’m expecting to see account activity at least once a month. Maybe more, since all the loans may be set up with different payment dates.. Yes, they pay monthly from their date of issue. The derivatives market actually functions fairly well. I have an urgent need of cash (solar panels), and was able to cash out 90% of my LC account within 7 days (at market rate). What was the value of your portfolio? They have a Notes Trading platform that allows you to sell your loans on a secondary market, if you need to get liquid. Is LendingClub available to canadians? I’ve been told from some of my readers that it’s not available in Canada, but there are supposedly some other (smaller) options. It’s also not available in many US states, at least not yet. Indeed. From Tennessee, all that is available is the secondary market. My searching revealed that the Canadian regulation is not currently favourable to P2P lending…. I was going to ask the same question, but no, it is not available to Canadians. MMM – if you find Canadian alternative, please share. I am not sure if a current working answer for new account CDN’s, but I signed up in FL over two years ago, so my IP, and mailing address were US localised. I used my TIN for identification, FL bank account funded and they accepted the account even though not a US resident under IRS rules. It is still current today and working. I have directed some people trying to get back on their feet after job losses (buying tools for a different trade etc) to Prosper and Lending Club and participated in their loans. It was a way of assisting good hard working people, without becoming immersed in the loans personally. I have not had problems so far and most will be paid off within 16 months or less.I have a number of US business incomes I have to report, so adding this to my filing requirements have not be onerous. I may use the accounts more generally, but right now I am happiest with private offering returns. Is this the same as Peer to Peer Lending which I understand is available here in the UK? I also understand that the recipents of the loans are also rated as to the level of risk involved to the lender. I don’t think we have Lending Club in the UK, but I loan out some money through ZOPA. They grade the borrowers and you can specify how much you are prepared to lend to any one person. I mostly lend to the A and A* market and after the 1% fee and a couple of defaults make around 6%. They also have a rapid return facility so you can sell on some or all of your loans which have never had a late payment in exchange for a 1% fee. I’m pretty happy with it. Interesting, I might investigate Zopa. I was looking for a UK alternative to Lending Club and they may well fit the bill. Thanks. ….this is an idea I’ve also be thinking about, but I haven’t done the homework you have. As you know, I use Vanguard Index Funds to do all the heavy lifting in my portfolio. But, with a small fraction of my net worth I occasionally indulge my stock picking addiction. As you point out, the market has had a very nice run. I’ve taken most of my profits and have been casting about looking for something new. While I’d caution anyone from making this the foundation of their retirement plan, it looks like a very intriguing adjunct. Thanks for the $25 bonus, JL! Looking at the report page, I can see that quite a few people have made the same decision this morning already. It’s possible that this article alone might end up boosting the MMF by $1000 due to commissions, which I can put back into even more lending club notes in a virtuous circle! I’m still analyzing and decided if I’m going to pull the trigger…. I have been investing in peer-to-peer lending for about 5 years now, first with Prosper and then with Lending Club. It took awhile to really get the hang of it — keeping lates and defaults down is the key to success. As of today, I have invested in 1792 loans on LC, 1377 are current, 4 late, 35 defaulted and 406 paid off. ROI is currently running at 10.78%. I make my selections manually using the filters. You really should play around with them at lendstats.com to figure out what you are doing before putting any money down. I won’t reveal all my filters, because I’m actually running low on acceptable borrowers these days — I only see about 10-20 per week at the higher interest rates. But I will give one clue — the hands down best metric for avoiding defaults is to only invest in borrowers with zero credit inquiries in the last six months. No other parameter is as statistically significant. Great information, Dragline! It is excellent to hear from someone who has done this type of investing for such a long time. Have your returns differed significantly from the projections they give you when you first select a bunch of loans? 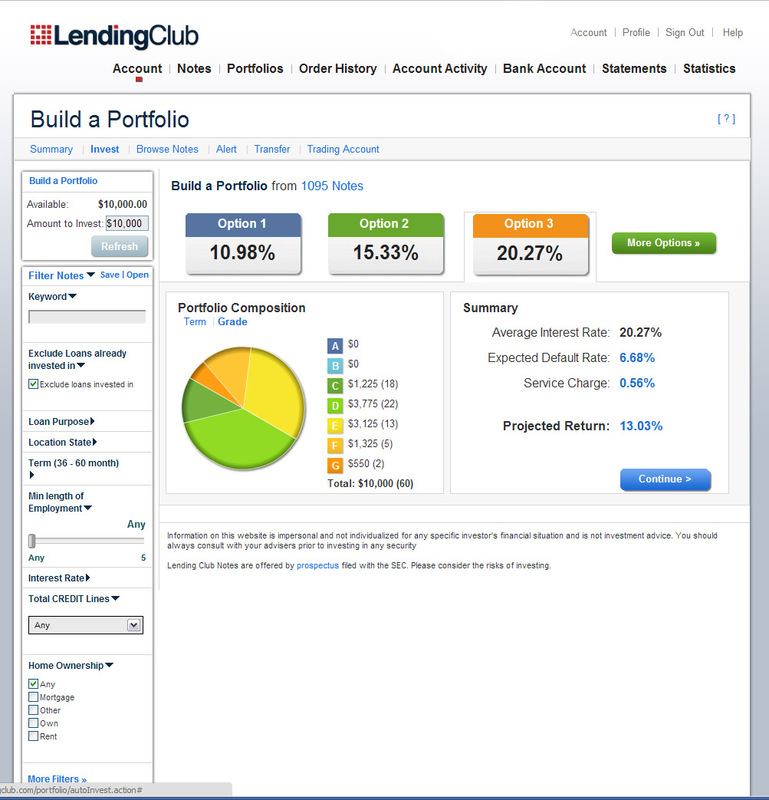 Can you confirm or deny that the Lending Club’s own default projections are based on an analysis of all past Lending Club loans, thus making them equivalent to poking around the “Lendstats” site? You know, I’ve never really focused on their statistics that much. They seem similar to lendstats, but perhaps not exactly the same. And I have always cherry-picked, so I don’t have the experience on buying a bunch of loans en masse. After an initial “irrational exuberence” at Prosper back in ’07-’08 with a lot of defaults, I came to the conclusion that avoiding defaults is the most important thing for steady returns. One excellent tool that lendstats has is the ability to analysis your personal LC portfolio. According to lendstats tool that I just ran my portfolio a minute ago, my current ROI is 9.76%. 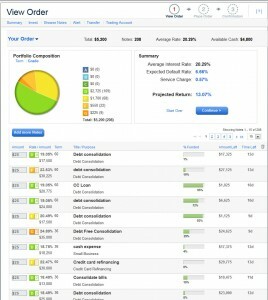 My portfolio is composed of 4% A-loans, 59% B, 17% C, 10% D, 7% E, 2% F and less than 10 Gs. I have been phasing out the A-loans, because they are less profitable in the aggregate. My ROI has been increasing since I implemented that strategy. Performance-wise the ROI on the As is 6%, including a 1.1% default rate. For Gs, its 21% and 0% — been lucky on those so far. So I have a better performance for all grades than the LC stats page shows for all of their loans. One other note — my experience with these loans during the financial crisis showed that default rates among the lower grades increased substantially. This is kind of a hidden risk, but its one reason I weight towards the B-grade. Also, there just aren’t that many low-grade loans that I am willing to take a flyer on. I assume that LC’s projections are based on analysis of past loans, however, it’s not the same as using Lendstats. For example, LC projects that the rate of return for all D1 36 month loans will be 11.76%, regardless of whether that loan is for small business (one of the worst performing categories) or for credit card consolidation (one of the best performing categories). There is no way LCs own projections of default take into account every variable that has a statistical relationship. I developed my own underwriting model and have way outperformed their expected default rate. They aren’t equivalent. I’m digging up dinosaurs with this reply! But, I recently wrote about the advantages of using Lendstats, so I thought I’d weigh in on the issue. Where Lendstats gives you an advantage though, is if you want to select *better than average* B loans (or any category). For example, If the *average* B loan defaults at a rate of 6%, and you use Lendstats to determine that Business loans default at a rate of 14%, by excluding Business loans from your selection criteria you may bring the default rate on B loans down to 5.5%. (I made up all these numbers just to illustrate a point). In my opinion, Lendstats definitely brings something useful to the table. I didn’t think through on the zero credit inquiries. Good point. I’ve been using the site for six months with great results. Right now, I just keep reinvesting the “available cash”. Let that snowball grow on its own. I actually use both Lending Club and Betterment, as both were recommendations from Mint, which I am entirely addicted to. The returns for Lending Club are very good, but Betterment has its own benefits too. The main problem with Betterment is that it advertises itself as a simplified investment vehicle, but really it’s more of a high-interest savings account. I keep my emergency fund in Betterment and also use it as a holding area for money destined for my SEP-IRA at year end. The returns are poor by the standard of my investment portfolio but are great compared to a savings account. I tend to think of Lending Club as a CD and Betterment as a savings account: one for funds that I won’t need and one for funds that I may. Thanks for mentioning Betterment because I hadn’t heard of it before, but it sounds like a rip-off. They charge a fee (from .15%-.35% depending on your balance) in order to invest in ETFs for you. Meanwhile the ETFs charge their own fees of course, so why not just invest in them directly? If it’s just the convenience of liquidity and not needing to deal with a broker service, why not invest in the fund version of the ETFs which have an only slightly higher fee*? It’s certainly _not_ like a savings account, because your money isn’t FDIC insured or in any way guaranteed. Maybe I’m missing some other option that they have? I’ve been running a much smaller experiment on LC the last 2 years. I haven’t had any defaults but I came close on one note. I only have 10 notes, so if I have a default my ROI is gone. I think the key would be to spread across hundreds of notes to help alleviate that. Although you also increase the chance of a default as well. I’m still not sure I could put any major dough in this system. What happens if LC itself goes bankrupt? Are there any protections for money you have loaned out through them? Yes, there are solid protections for investors, which come in part from the fact that Lending Club is an SEC-regulated company. In summary, I believe YOU own the notes you buy, regardless of the financial status of Lending Club itself. So if the company goes bankrupt, you still have your investments, but management of them would be passed off to another company. I suggest you read the Prospectus for the full unvarnished truth. The Risk section is quite revealing. payments, the cash flows on your investment and ultimately the value of your investment. Great research Tigermoose! Glad to have that more grisly-sounding disclosure out in the open. The possibility of risk is why I labeled this article as an “experiment” and only put in 10k. As the company becomes more established and perceived as safer, I’d expect the returns to drop as well, as a supply of more cautious cash rushes in. At some point, just like every other opportunity for market-beating returns, it should erase itself (just as diversified corporate junk bond funds have much lower yields, like 6-7%). There is a substantial risk of Lending Club going under that cannot be dismissed so easily. I worry that your readers can lose a lot of money if they don’t truly assess the risk present. Tigermoose, You seem quite certain that this is a high risk investment. It is certainly not without risk but whether it is high risk or not is somewhat subjective. I am fully aware of the risks mentioned in the prospectus and I am very comfortable putting six figures to work at Lending Club. If you look at the last few quarters of financials that Lending Club has filed with the SEC you will see that their financial situation is really very strong. They have a large amount of cash on their balance sheet and will likely reach profitability within 6-9 months. This is one of the reasons why I continue to believe that Lending Club is one of the best risk/reward investments available anywhere today. High Return = High Risk. Investing 101. If you don’t acknowledge that you are fooling yourself because of greed. Agreed. But not all high risk investments are created equal. I maintain that the risk of Lending Club is not as great as most corporate junk bonds (you just need to compare their default rates) and the rewards are better at Lending Club. Is it fair to call this a market-beating return without quantifying the risk involved? Lending Club makes me nervous because people tend to discuss its high returns without adjusting for risk. I took a quick look at LC’s financials and I don’t understand why they have negative cash flow and are losing money. It seems like a business model where it would almost be impossible to lose money with the right automated systems. I was wondering that too – another thing we can add to the list of interview questions if we want to interview a lending club founder or representative (?). But maybe their fees are too low. Take the investment in this article for example. I put in $10,000, and they make only $100 off of that. To earn that hundred dollars, they have to service the equivalent of one or two full loans, from origination to closeout over a period of three years, including about a 3% chance that they will have to hound the buyer in the event of a default. Meanwhile they have to provide the nice website for me to check on my loans, fund a customer service center, pay for promotional activities to grow the user base, etc. They have funded just over $900 million in loans so far.. yielding a net fee income of only $9 million. It seems hard to run a cashflow-positive San Francisco company on $9 million over a five year period. On the other hand, with another 10x growth in loans, things might start looking good! Our current plan is to be cash flow positive during early 2013. To the question “why aren’t we profitable now” the answer is that ours is a business of scale, and our primary focus has been on accelerating the building and strengthening of our foundation (technology, infrastructure, human) for continued growth. .. so, only a few months from now. Let’s keep an eye on them and see how it goes. The borrowers probably pay the greater fees, although I don’t know that. Just a guess. Regarding real estate. Buy a 1 bedroom condo in Boulder, furnish it and rent it short term, i.e. 3-12 months, to visiting Faculty and scientists at University of Colorado (not Colorado University BTW), NOAA and NCAR. I know there is a big need. Look at northeast boulder, near the NCAR Foothills campus. The levels of speculation and due diligence astound me. Borrowers pay the larger fee, an origination fee of between 0.5% and 5% depending on credit grade. Moreover, you assume that $100 they earn on your $10k is a fixed amount based on a deposit, when in reality you loan it over and over again. It’s based on payments, not deposits. Glad you’re astounded, B. Mason. I think we just have different styles and definitions of due diligence. Some people like to read as much as possible about something before diving in, and even then hesitate indefinitely because they are afraid they still don’t know everything. More than half the time, this results in smart but cautious people under-performing in their lives by missing out on fun, adventures, and relationships. My approach with Lending Club was instead to read a moderate amount, and combine it with the feeling of trust for several smart people I already know who have large sums invested in lending club, and then start with an EXPERIMENT (see article heading). The experiment allows me to learn more quickly, even while it pulls great knowledge out of the woodwork by enticing readers such as yourself to share their own opinions and knowledge. So, doing this Lending Club experiment is in fact PART of my idea of due diligence. Isn’t that only applicable if you buy shares or notes in the company itself? the Note. Even funds held by LendingClub in trust for the holders of Notes may potentially be at risk. I like the idea of Lending Club a lot, for the reasons outlined! I’ve been looking into it recently and trying to determine the risk level I’m willing to accept coupled with the potential return. I’ve found that investing in individual stocks, rather than index or mutual funds, takes up most of the time I can allocate toward investing. And I am handily beating the pants off the S&P so I’m happy with that decision (I blogged about that recently at http://mreverydaydollar.com/3-reasons-not-to-invest-in-index-funds/). Therefore, I am now in the midst of deciding between these additional investing options: 1) learning and deploying stock options 2) investing in real estate – a 2-flat rental and/or REITs like VNQ 3) loaning money through Lending Club. Of course I would like to do a blend of all three and that may happen at some point in the future, time permitting. Right now I am leaning towards dipping my toe in the water with LC. Great post, can’t wait to see the returns! Make sure to check with an accountant about your tax reporting liabilities. I’ve heard from some people who dabbled in Prosper that it significantly complicates your taxes. MMM – The last time I looked at LC I read some information that all those little loans turn your Federal Tax returns into a nightmare. How is or hard is it to deal with LC from a tax standpoint? Here’s a useful article on taxes and Lending Club. I took a look at the link and it still seems like somewhat of a hassle. I wonder if it makes sense to invest Roth IRA money and then you don’t have to worry about tax implications. It may make sense to invest through a tax deferred account if they let you. Tax treatment of these types of investments is not good. If you are not in the trade or business of lending, the interest paid is taxable interest and the defaults are going to be capital losses (once each note in worthless). You can only deduct $3K in capital losses in excess of your capital gains, which can be bad if you have a large portfolio as you can be losing money but still be paying taxes because your interest income is greater than $3K while your capital losses you can deduct are $3K. If you can make it a trade or business (which is pretty hard to do), the income is earned income (ie: subject to self employment taxes). It’s a little work, but not that hard. Most of it is just reported as income. But this is another reason to keep your default rate low — dealing with defaulting loans is what causes the headaches. Things also get a little more complicated if you trade your notes — there is a related plaform where you can buy and sell them. Then you may have capital losses or gains as well. That was going to be my question as well. I have heard similar horror stories! Welcome to the club, MMM. I think you’ll be happy with your results. I’ve been so happy with my LC investment, that I jumped in to Prosper also. I’ll share those results once they’re mature enough to be worth sharing. So far, it looks promising. MMM – I’ve been with LC for 2 years now with Roth IRA money. Pretty happy with the product. Note that you have to calcualte your ‘real’ IRR on spreadsheet and not rely on LC’s IRR on your ‘summary’ page. Example- someone is asking for $19,000 for ‘Credit Card Refinancing’, only has $3k in revolving debt, and has not answered any questions yet- Something is Rotten in Denmark. I’m with Prosper right now, but I think I’ll add any new investment to Lending Club. Lending club is much bigger (5x) and it looks like their screening tool is better. My current ROI at prosper is around 13%, but that’s going to come down soon due to defaults. for those involved with LC, what is the smallest number of notes you would feel comfortable investing in? 10? 20? 50? I’d suggest making as many qualifying minimum investments ($25) as possible, maximizing your spread across notes for larger investments. For small investments like $250 spread out over 10 notes, your results might be less predictable, but it’s still no big deal – you’re only risking $25 chunks. I was going to ask the same question. I have a little surplus income from my summer job saved up and was wondering if using this to invest around $1,000 would be a good choice, since it’s too small to go into other investment options like a Vanguard fund. I figure it would give me some familiarity with the system while making modest returns, then I could continue to use it at a higher level once I start working full-time in the future. I would target about 400. That means that unless you have more than 10K, you would not go more than the minimum $25 on any one loan. You could probably get away with fewer if you focused on the higher grades. If you don’t have many loans, your results may be way better or way worse than the averages, particularly with low-grade loans. Your investment is just more speculative the fewer loans you have. With a whole FIVE years of collected data under their belt, what could possibly go wrong with trusting their stats? The big banks also had stats backing up their actions, and we all know how well that worked out for them. But if you think loaning your hard-earned money to people who can’t afford to pay you back is a recipe for success, it’s a free country and you’re welcome to try. Unfortunately, there will be no taxpayer-funded bailouts for the micro-bankers. Now you’ve been warned, and my conscience is clear. Carry on. Banks LEFT their years of stats experience to lend almost without regard as they turned into a fee business, packaging loans to sell on without default risk to them (yet). If they had followed their heuristic stat models they would not have lent to most that did get mortgages and loans. High risk CC companies make money even with default rates high… just the late fees alone are a business model. The idea is NOT to lend to people who cannot pay you back, but to those decent credit risks cut off from funding options other than at usury rates elsewhere. One example was an ex-contractor who I helped fund getting a $75k truck that was a business in a truck, for $12k at auction during height of crash. Some training and supplies and he was up in business in weeks. His cost base allowed him to compete with existing operators in a brutal service industry market. He is still in business and supporting a family over 2 years later. That does not preclude your advice and warning but maybe balanced with less sweeping generalisations? The five years of track record also includes the worst financial meltdown most people alive have seen. Also, both Lending Club and Prosper make historical loan performance data available for you to dissect and analyze whatever way you like. A few bloggers including me at http://andirog.blogspot.com has extensively analyze such data and shared our findings. In the end, there is not much difference how credit card companies make money from CC holders and how P2P lenders make money from borrowers. I’ve had a portfolio with LC for about a year now at the recommendation of an acquaintance. So far, so good. I did the manual filters to keep my risk a bit on the lower end. In close to a year, my return has been more like 7% because I accept less risk, but that’s fine by me. So far of 341 notes I’ve been involved in, only 3 have been charged off and 1 is in default. I did not go in expecting perfect. I expected that would happen. BTW, if you want to get involved and know someone, my screen says you can get $300. I think you have to be willing to invest $10,000 though to get that. Probably would not be hard for a lot of people in this forum! I joined Lending Club at the beginning of the year since hearing about someone getting 19% return (by selling off notes in folio as soon as they went late). I have been getting 18% so far with metrics that I have been applying consistently. The people who have missed payments have the better credit scores. I am getting a lump sum payout from one of my pensions and I am putting it all into LC. My screen says that people I invite would get $200. Mine says you get $300 if I invite you, but you would have to invest $10K or more. Awesome! I’ve been incrementally funding lending club and prosper for a while now, and I was hoping to get a large scale MMM experiment at some point! Looking forward to seeing the progress in a year. We are not there yet as we’re still in the more traditional pay down debt, max out IRA, 401K stages, but this is very interesting and I’m looking forward to seeing how well their projections match up with reality over the next several years. Hopefully as you start getting your own results, we’ll be to the point where we could start doing something like this. So what happens when someone does default? Do you as the lender have any recourse? Or does the borrower just get away with not paying? Lenders have no recourse though Lending Club does send loan to collection agency if borrower didn’t file for bankruptcy. The worst case scenario for borrower is a ding on credit report and harassing calls from collection agency. Typically lenders mitigate risk by lending small amounts to lot of different borrowers. LC data shows that a lender with 800-1,000 different notes have positive return. There is no recourse for the investor. You need to rely on the collection efforts of Lending Club. If the borrower doesn’t pay their only consequence is a dinged credit score. For most people that is motivation enough. Across all borrowers the annual default rate is around 3%, with fewer defaults for the low risk borrowers. My last late occurred because the borrower died. I guess he got away with it. Sometimes they file for bankruptcy too. I’ve had fewer issues with that at LC than I did at Prosper. I think LC does a better job screening applicants. Still, that’s the primary risk of this investment. So, this stuff is really interesting, but I don’t get the strategy. This would be a good strategy if you were needing income, but now you find yourself unexpectedly still in the accumulation phase. Or perhaps this is just a tip for others? Why not take aside what you need to live on each year – $27k – and then dump every other dime into the 401k? Your other article highlights the various ways you can get out of this, with back door roth, etc. Getting on that compounding train without taxes makes the taxes paid later negligable. I think tax free investments into investments that have been proven over long periods of time (proven stocks) is advantageous to interesting new investments that are taxed every year, when you don’t need the money right now. But maybe that would be just boring to write about, and I guess it’s only $10k. My family’s personal living expenses are indeed paid for separately from other investments (a rental house and stock dividends). On top of that, we sometimes earn income from projects that we do around town (real estate, business finance work, carpentry, blog writing, etc). However, if the returns really do turn out up near 13%, this Lending Club deal would be more profitable than tax-deferred index fund investing even after paying significant income tax off the top! Finally, this particular investment is the start of a charitable fund which will probably end up exempt from taxes anyway (and in fact I heard from a reader at a law firm today that is willing to help out with the details!). 401k’s have a limit of $17k so we all need other places to put our savings. Roth is a good choice after that for another $5k but some of us still need to save more than $22k. For us employees, we are limited to $17k. But for the self employed, the solo 401k is pretty sweet. The first $17k can go in there (no % limit) and then 25% of profits (up to $50k for each person). So for $70k income, dividing profits with two people (husband and wife) you can get to $52.5k. I don’t know the exact rules but you can put a lot of income in there. But that is a specific case. You’re right, for the rest of us, we have to find other places. I am new here, I started reading your blog a couple of weeks ago. I have been reading PF blogs for a while and I thought that I was in pretty good shape financially — that is until I started thinking about early retirement and the fact that I could actually do it. Pretty big light-bulb moment there. We are now on track to make some serious headway on our lingering consumer debt. We will be debt free (except our home that we are currently renting out) and will have a healthy emergency fund this time next year at which time we will be saving aggressively to have a down payment on our next home. I work at a credit union and everywhere I look I see the lifestyle that I am trying to escape. Your blog has motivated us to be more strict and we are currently “saving” (right now we are in payoff mode) 50% of our income, which I never even knew was possible. You are changing lives. Seriously. Wow MMM I am surprised that you are willing to take the dive into the world of lower credit quality borrowing to get the +10% returns, its a certainly a step beyond the conventional mainstream Vanguard investing that you usually write about. Do you recommend this only for people currently in early retirement or also people in the stash building stage? Also how long did it take you to manually build your portfolio? Are we talking 1 hour or 3 weeks? Reading from the comments here, it sounds its a real skill to pick the right filters to picking your borrowers and that if you choose the wrong filters you are screwed, and left with the loser borrowers. Also I am confused, if someone is late for a payment, do you actually have to call them personally to remind them and threaten legal action? (this is what it sounds like from Dragline’s comment); yet according to Lending Club’s website an employee from LC does this for you. This has the potential to be a great tool to help early retirees with generating income. 10k at 13% return is $108/month before taxes, not bad at all; I guess one huge bonus to being retired already is that you are in a lower tax bracket than me (I am at 25% Fed + 3% PA flat tax). I guess your tax bracket is so low you probably will pay little to no Fed taxes on that income. A little of these Lending Club notes plus some REITs (i.e. maybe some REM shares), and one could generate enough to pay say $900-$1000/month passive income for each 100k of savings– all of this by sticking only with the Grade A-C notes on Lending Club– this definitely would help pay for groceries and some utility bills, and is definitely a huge step forward before a future early retiree sends in the card-board cutout of the middle finger to their employer. Hi George! In theory, if my understanding of Lending Club is correct, it could have a place in a standard ‘stash building portfolio. Somewhere between 1-10% would be a reasonable starting point. But I’m new, so stay tuned for more reports. Once you log in and click “browse notes”, the filters are right there on the left. It took me only an hour to put together both of my portfolios – the 208-note manual portfolio, plus the automatically-generated one with an additional 29 (non-overlapping) notes. You can ignore all that “late payment” stuff – that’s what you pay Lending Club for. Just be reassured that they try to discourage defaults as much as possible. As the investor, you only log in and check your balance. There WILL be some loss due to defaults (which is why my projected return is 13.08% instead of the headline rate for that note selection). But all you care about is how much you get out of it over time. Being Canadian, we do not get to play with this cool tool, but that did not stop me from snooping around. Wow! There is a guy (or gal) there asking for $24,000 loan to install pool and a hot tub. He is adding $8K of his own money to do so. Here is a kicker – he makes almost 12K per month, but he has F credit rating, apparently due to previous default. He pays $1200 for the car payments and apparently debt-to-income load is over 25%. If there was ever a person who SHOULD NOT borrow more money, it would be this guy. He needs biggest punch in the face MMM can produce!!! WOW AGAIN!!! One loan request is for $28K for wedding!!! Holy sh*t! Haha.. excellent examples. I didn’t dig into the details, since I figured that is already bundled into the typical default history (and by extension, the default projections). But it would be fun to start a third sub-portfolio entitled “Mustachian-Approved-requests only”. The thing is, Mustachians generally wouldn’t borrow money even at 6%, and definitely not at the bad-credit rates of 10%+ detailed in this article. I’d move into my Mum’s old cobblestone basement with a 5′ ceiling before I would pay a 12% interest rate. So, you basically have to resign yourself to lending to Consuma’ Suckas. I have been “investing” in LC for a couple years now (very small amounts, since, up until recently, I was paying off student loans – now paid off! But I digress…). My breakdown is A-6%, B-19%, C-10%, D-18%, E-28%, F-11%, G-7%. My current net annualized return is 8.59%. I have had 5 of my 149 notes default and get charged off, and I also learned a good lesson this way. Early on, I invested more than the minimum in certain notes that “looked and felt” “good” to me, so with the 5 defaulted notes, I had invested $275 total in those ($150 in one note! ), and had received a total of ~$78 in payments from those before they defaulted. With the small amount of money I have invested, even some major defaults have not impacted my return. Since I still don’t plan on putting much money in this at this time, my strategy is to only invest the minimum in each note, to help with diversification. I think I would still have this strategy even if I were putting significantly more money into it. I don’t have any experience with any other P2P lending companies, but I love the charts and tables that can be generated with Lending Club. I am drawn to gambling, so this is where some of my “allowance” goes – I see it as better than throwing it in a slot machine, on so many levels. And I get a similar “high” from this, so I see it as a win-win for me. 1. Invest small portion of your portfolio (maybe 10-20% at the most). 2. Reinvest the principal returns and maybe 30% of the interest gains. Cash out 70-100% of your interest gains. By doing so, if you get 12-13% return, and withdraw 70-100% of the gains (interest you collected), your principal would grow slowly, you would eventually recoup all the money you invested and have a nice little nest-egg that will continue producing great returns. Hopefully Canada gets access to this soon. The trick with Lending Club is that the statistics on all loans look much better than the actual returns achieved for two reasons: 1) the loan volume is growing quickly; and 2) borrowers are much less likely to default in the early months of the loan. This means that at any given time, a majority of loans ever issued are still outstanding, and have much better results than completed loans. This markedly reduces the total earnings (the total ROI for all completed loans on lending club is only about 4.4%), and also changes the distribution. For completed loans grades F & G have lost money, and grade C has been the most profitable (at a whopping 5.6%). This is markedly different than if you look at all loans made on lending club, which have an average age of less than 17 months (less than half of the term! ), have an average return of 6.3%, and where E grade loans are the most profitable. Beware of including current loans in the statistics! Great points Tim and I’m looking forward to finding out if all that proves true or not. Where did you get those stats? Brave New Life may have some comments on that, as he has been investing with LC for a longer period. I agree that calculating ROI should be done only after loans are completed. But I also believe that Lending Club’s “projected return” will prove to be accurate as long as the projected default rate ends up being close to correct. So I’m not sure if I believe your 4.4% statistic – yet! I just used the lendstats site listed above. To get completed loans, I only used loans that started more than 36 months ago. You used to be able to do this with Lending Club’s own web site as well, but I haven’t looked in a while. As Tim points out – all these stats are publicly available on Lendstats.com and other sites. The one thing that no one mentioned is the time period involved. Loans issued in 2007 and 2008 went through the worst financial period in 75 years and yet investors were still able to eke out a positive return. In October 2008, there was a shift in underwriting at Lending Club (minimum credit score increased from 640 to 660) and the underwriting has been tweaked several times since. It is very true that Lending Club’s returns are overstated on their site because of the young age of their portfolio on average. But to look at loans issued in 2007 and 2008 and expect we will see the same returns going forward is unrealistic. Lending Club continues to improve their underwriting and returns for investors are improving as well. I don’t see the word ‘subprime’ in this discussion. You’re making unsecured subprime loans to people who have $30,000 of credit card debt. You don’t see subprime in this discussion because these are not subprime borrowers on the whole. The average credit score is well over 700 and the minimum to even be considered for a loan is 660. Most of these people would be considered prime borrowers. If these borrowers are all decent credit risks, then why are they borrowing via LC instead of via traditional channels? Is LC somehow cheaper for the borrower? Yes – from what I’ve read, lending provides both cheaper and faster funding for those borrowers in the categories it serves. A large percentage of my borrowers are people who have had their interest rates raised to 20% or more and are trying to consolidate their credit card debt — 12-17% sounds great to them and they are fairly well conditioned to make those monthly payments. I think a fair number are driven to P2P sites by the “reduce your debt” type blogs. Obviuosly, they have a very different perspective on life than the people here. The most unreliable debtors I have found are those borrowing for medical expenses, education and starting businesses. Is there a way to loan to businesses similar to Lending Club? Seems like that would be a good idea. FWIW I invested in peer to peer lending with Prosper back when they first started out and lost money on all class of loans. There was some issue with how prosper was vetting their borrowers which eventually led me to joining in on a class against them. I will probably always be a little weary of peer to peer lending on the web. I was really intrigued about Lending Club when I heard about it from BNL as well. Sadly, it is not available to Canadians – if they ever figure that out, then I’ll be all over it! Are they paying monthly for their date issues or not? What about the current status? I’d like to be a borrower myself, and I’d take your cash to refinance my property under terms similar to any normal bank mortgage. Lien or mortgage on a property – how is that for security of your money? So, who wants to actually BECOME a bank? Clearly you haven’t checked the protections in place. If you’re willing to refinance for a max loan of $35,000 for 5 years at 7% then be my guest. Oh yeah, it will also take forever to get that baby funded by 1,400 investors at the min $25 per loan. No, I’m talking total bypass of the LC here. Person-to-person thing. I’d need a 40-50k, 8%, long term. Gary, are you currently living in the US? There appear to be strict regulations on residency in certain states. Brian, you are right, the Feds are tough on this matter, and it’s a good thing for the country. No, I do not have a status in US yet. Brian, no, I just travel down there on a regular basis. Seems like Lendstats has been down a lot lately, so I’ve started using nickelsteamroller.com. On a practical note, I’m the type of guy who loves to tweak variables and micromanage. I spent hours playing with the historical data in each catagory to find out who were the ideal people to lend to. Then I put it all together, only to find out that I had exluded 99.999% of the loans. So somewhere along the line, you have to find a balance between lending to the ideal borrowers that don’t exist, and lending to the not-so-ideal borrowers that do exist. The other thing you have to keep an eye on is the size of your data set. ME looks like a great state to invest in, with a 0% default rate. But you have to keep in mind that only 3 people in ME have ever been loaned money. If one of them were to default, the default rate would soar to 33%, and ME would look like a terrible place to send your money. Ehhh….I would be interested in seeing what your experience has been after 2-3 years. I put in $1k ~3 years ago, at was was projected to be a 13% rate of return (after the expected defaults and fees, etc.). Everything looked great for the first two years, but in the past year I’ve had a spate of defaults, have a couple more notes that are now late (which, if history is any guide, means more defaults are in my future), and then a few people went and paid their loans off early (which, while it doesn’t lose me anything, also lowers the amount of interest I collect). The result of all this is that my rate of return has plunged down to about 5%, which is still pretty respectable, but a lot less than 13%, and puts it much more on par with more “traditional” investment vehicles such as an REIT. It would be interesting if they did a little more mining of their data and reported the *range* in returns of people with similar portfolios, rather than just the average. My experience suggests that they are (understandably) really pushing the potential for high returns and whitewashing over the potential for your return to be a lot lower (even if it is still positive). Early pay off shouldn’t affect your ROI. Just reinvest the money and start earning again. Yes, I realize that, however given the number of defaults I was starting to get I was a little leery of reinvesting. The major damage to my ROI has definitely come from defaults in the past 12 months (when all the loans were at least 2 years old). My main point in sharing my experience is that an LC portfolio CAN perform considerably less well than “forecasted” and that people should take that into account when deciding whether or not to put their $$ in. Frankly I don’t feel that LC does a particularly good job of conveying that potential for performance drop, so whenever the topic of investing in P2P comes up, I like to put my semi-cautionary tale out there! I appreciate the feedback, Anna! One thing to note is that with $1000 invested, you would have had a maximum of 40 separate $25 notes in your portfolio (and even fewer if you weighted any individual loans more heavily). A single default would thus wipe out 2.5% of your portfolio, or drop a 12.5% return to 10%. And with a portfolio of 40 notes and a 3% default rate, you’d expect 1-2 defaults. But you could get unlucky and have much worse results. With a much greater group of loans (like the 240 or so in this experiment so far), the effects of one-off bad luck are reduced and you are more likely to get the average group behavior. I’ll still be pleasantly surprised if I really get 13% or whatever, but just wanted to point out that a $1000 portfolio has more chance of being wilder – really good or really bad – just like buying a few handpicked stocks compared to an index fund of 500 companies. Anna, thanks for sharing. Just to clarify, you put in 1k ~3 years ago, presumably spread over up to 40 loans. Did you re-invest any of the principal or interest that you earned back? This has been an interesting thread, and I did some research to see if I wanted to follow through and invest with Lending Club. So, I checked out what people have been saying over on Bogleheads.org (investing advice inspired by the example of Jack Bogle, founder of Vanguard). I really respect their collective financial acumen. In any case, they pretty much panned Lending Club and other P2P setups. Too much risk, risk not well disclosed, etc. But most of the comments were from more than a year ago. Maybe things have settled down in the P2P world. Mr Money Mo – I’ve been using Lending Club for over a year and half now and have nothing but good things to say about it! I think it’s a great way to diversify, try a novel way of investing, and get outstanding returns that you just can’t get anywhere else. I think that by cutting out the middleman LC and Prosper are really creating a revolution. No longer do the banks have a monopoly on investing in creditworthy borrowers and reaping the high ROI that comes from it! Interesting thread. I’ve had an account with LC for over a year now. I’m from Arizona so I can only buy on the secondary market. To date I have 119 notes earning 15.92% NAR. I’ve been lucky so far in that I’ve had zero defaults. Honestly, I have nothing but great things to say about LC… I’ve even opened up accounts for my children and they invest their birthday/extra money into it with zero prodding from me. They’ve already got the investing bug and the oldest one is only 10. It’s fun to sit down with them and check on their accounts to see how much interest they’ve earned on their money. There are a lot of “cool’s”, when we do this. If anything, my children are receiving a financial education that will propel them through their lifetime. Any procedure that has rapidly increasing investment and largely deferred payback could mask a Ponzi scheme or unintentionally become one. Think Madoff and note financials of the the company. There’s nothing “rapidly increasing” about investing with LC. They are 3 & 5 year notes. I laugh at people intimating this could be a Ponzi… this is the same thing banks have been doing forever, before the days of repackaging loans and reselling them as investment vehicles that didn’t exist, you know… back when they were financially fit and had some integrity. If peer to peer isn’t right for you then by all means stay out. I’m not picking a fight, just cautious. Note I didn’t say it was actuality something sinister. It just lacks some protections and transparency and the loaned amounts are building up quite fast (check the link in 6th comment from top). Associated with that idea is discussion of how the growth distorts the default rates. Also check the quoted disclosure posted by Tigermoose Sep 24 at 3:24 pm. All-in-all I will take your advice and stay out of that market. Long term I think this is a great area of investment. Over $800 billion in cc debt with an average rate on balances of 12%. So, the loaned amounts can become humongous. I’m learning and lending with both Prosper and Lending Club. This area seems like a great opportunity for disintermediation. A classic win-win (lose for the old technology) . The big question will be what is left to understand as this niche expands. Long term–you may well be right. But so far we are at “short term.” It is always a risk vs rewards issue. With say an index fund the potential rewards are usually lower but with huge diversification among stocks (or bonds) so that a major component is just “market risk”. In p-2-p lending the diversification is totally dependent on the amount you can invest and secondly based on much more variable entities, ie, individual humans vs organized companies almost universally striving to make a profit. As the field matures, that is, over the long term, one would expect the differential rewards of p-2-p over say indexes to diminish unless the risks continue to be high. One way to minimize the risk of individual default would be pools of loans, but then that would be a bank wouldn’t it?